Located in uptown / midtown Oklahoma City, the Plaza District is yet another of the many rejuvenated areas of the metro, a region that has become a top commercial and cultural destination. Long known primarily for the historic Plaza Theatre, the first air-conditioned theater in the state when it opened in 1935 with backing from Paramount Studios, the area later languished along with many others in Oklahoma City. The theater closed in 1979, and the Plaza District went through some difficult times. That changed in the 1990's when neighborhood business-owners, residents and volunteers began to revitalize and redevelop the area. The Plaza Theatre was extensively renovated, now serving as the home to the Lyric Theatre company, and the neighborhood was reborn with art galleries, studios, retail shops, restaurants and more. Here is a detailed profile on Oklahoma City's Plaza District, information on all the hot spots to visit. 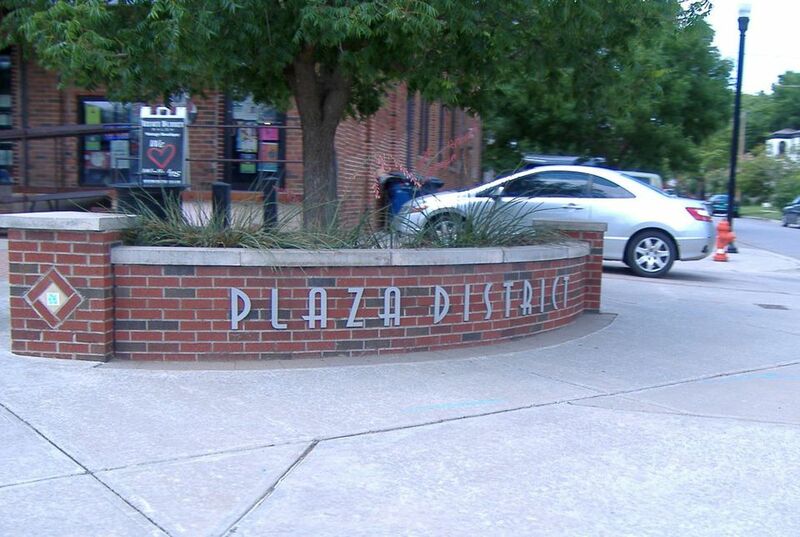 The Plaza district is located on the 1700 block of NW 16th, between Classen and Penn, just northwest of Midtown Oklahoma City. From I-40, take either the Pennsylvania exit from the west or the Western exit from the east and go north to NW 16th. There are several galleries and commercial establishments within the small Plaza District, representing quite a diversity of culture and interest. For example, there are vendors with retro or "modern hip" goods, boutiques with handmade wares, galleries featuring Oklahoma artists, the Velvet Monkey Salon, No Regrets Tattoo Parlor, the Everything Goes Dance Studio, a photo studio and other clothing and gift shops. In addition to the galleries and shops, visit the Plaza District for unique food and drink. Get more details on the top restaurants in the Plaza District. Plaza District Festival - Held annually in late September or early October, the Plaza District Festival is a free event for local art lovers that features performance and visual art, live music and art education. LIVE On the Plaza - This monthly art walk event promotes emerging artistic talent in Oklahoma City and includes food trucks, live music and more. See upcoming LIVE On the Plaza dates/details.